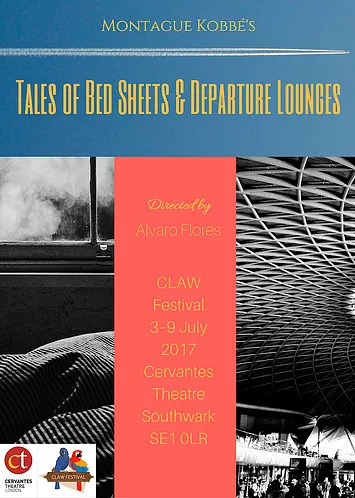 As part of CLAW Festival (Contemporary Latin American Writers), which takes place at the Cervantes Theatre in London from 3-9th July, there will be daily performances in English of Montague Kobbe’s play Tales of Bed Sheets and Departure Lounges. Adapted from his 2014 book of microfiction of the same name, Tales of Bed Sheets and Departure Lounges offers brief glimpses into everyday lives and deep emotions, moments of desire and frustration. On Saturday 8th, there will also be a reading in Spanish and a party for Crude Words, which Kobbe co-edited. Gustavo Valle has again won the Premio de la Crítica de la Novela for his surreal adventure Happening, having been awarded the 2009 prize for Bajo Tierra. 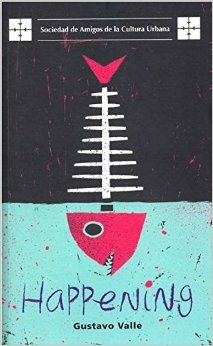 For the coherent execution of its aesthetic project, manifest in the use of narrative techniques ranging from humour, pain, drama, melancholy and reflection, we declare Happening by Gustavo Valle the winning novel. This novel constitutes, in our opinion, a work which, while exploring an existential vein, presents a vision of the world as a thriller in which uncertainty and chance are the critical axes, all of which is held up in the idea of the happening as the central thread [of the novel]. 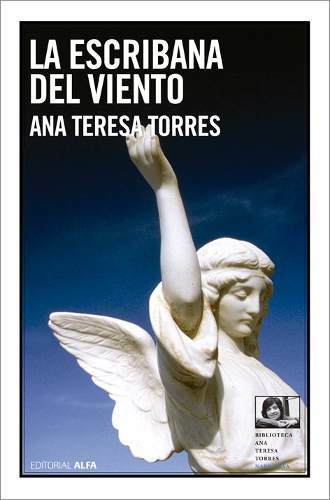 Valle’s novel was also awarded the XIII Premio Anual Transgenérico and was recently republished in Argentina by Autoría Literaria. The three other finalists were Jinete a pie by Israel Centeno, La ciudad vencida by Yeniter Poler and Los escafandristas by Fedosy Santaella. Read more about them from Ficción Breve. 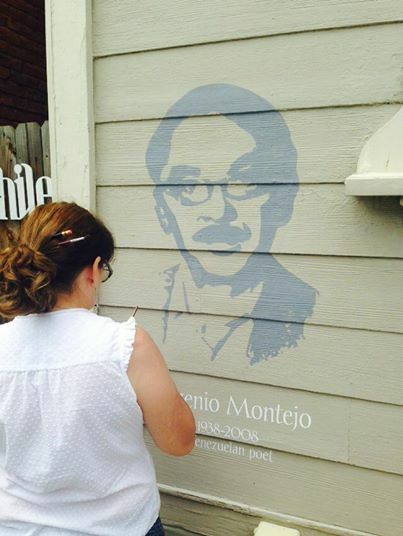 The streets of Pittsburgh were adorned with portraits of some of the greatest Venezuelan poets in July as part of ‘River of Words’, the project from graphic designer Carolina Arnal, artist Gisela Romero and writer Israel Centeno which won a prize from the Pittsburgh Office of Public Art. 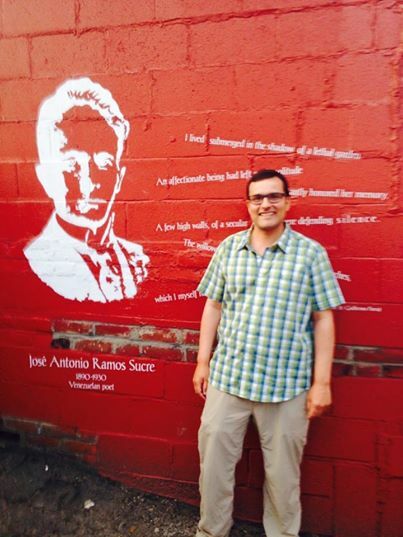 José Antonio Ramos Sucre and Guillermo Parra, translator of Sucre’s Selected Works. Read the full report from Ficción Breve. 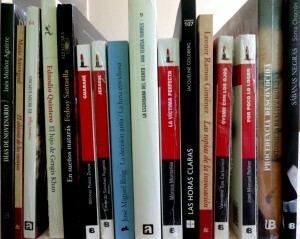 For the second year running, Venezuelan booksellers have voted for their favourite books of the year. 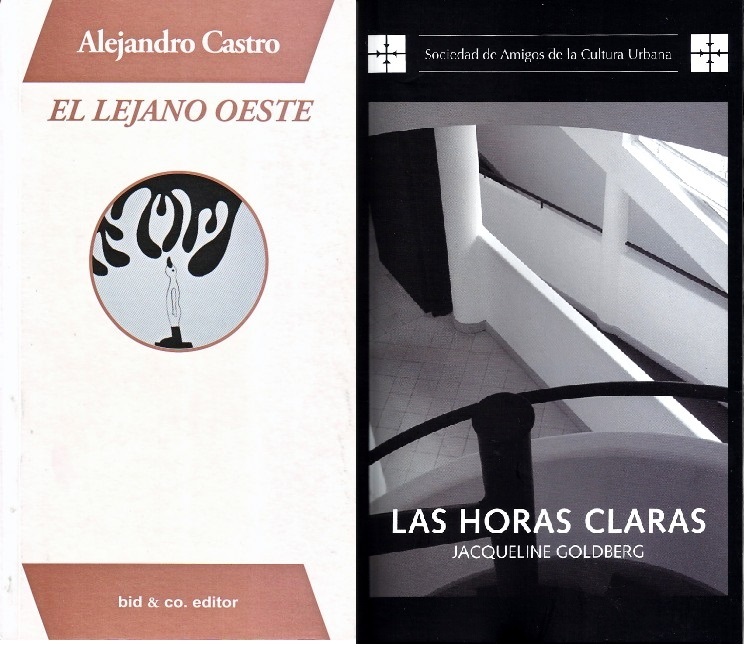 The winners were Jacqueline Goldberg’s Las horas claras (Cultura Urbana) for narrative, and Alejandro Castro’s El lejano oeste (bid&co) for poetry. As a novel written by a poet, Las horas claras was said to ‘combine with great skill the best of both genres’, while El lejano oeste was praised for ‘Its force, its ironic humour and its cheek’. The bookshops involved were Alejandría, El Buscón, Noctua, Kalathos, Sopa de Letras and Lugar Común. Special mentions were also given in poetry to Gina Saraceni for Casa de pisar duro (Cultura Urbana) and in narrative to Ana Teresa Torres for La escribana del viento (Alfa). Click here to read the full report and judges verdict at Ficción Breve. Books from Oasis is the new publishing venture from environmentalist turned novelist Cinzia De Santos which aims to publish books from Venezuelan authors here in London. Cinzia explains that the project started because she was getting frustrated waiting for agents or publishers to answer her submissions. “Writing to me is more an inevitability than a commercial activity. So I decided to create my own mini publishing company”. Through Books from Oasis, Cinzia has published her first novel, El sentido de la oscuridad , as well as an English translation, The Sense of Darkness . 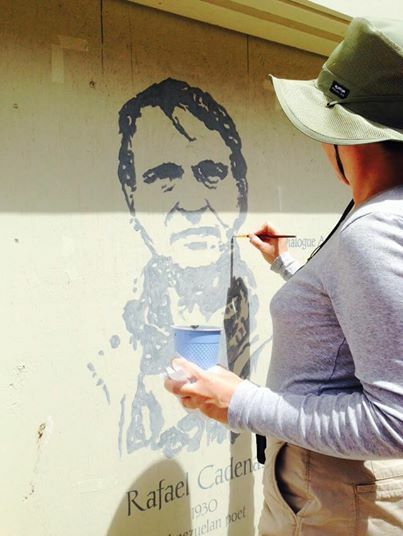 Consequently, a friend with experience of publishing books in Venezuela suggested to her that she use her company to offer an international platform to other Venezuelan authors who face real difficulties getting their books distributed abroad because of strict currency controls. Any authors wanting more information should contact Cinzia at cinzia@bookfromoasis.com. She is currently building a website which will have more information. The Premio de la Crítica a la Novela for 2013, organised by Ficción Breve Venezolana, announced on 4 July 2014 its 17 contenders. The jury, comprising professors and researchers Violeta Rojo, Miguel Marcotigiano and Álvaro Conteras, will announce the winner, and up to five finalists, in September. Read the original announcement from Ficción Breve here.